Pump It Up Pumpkin Workout! 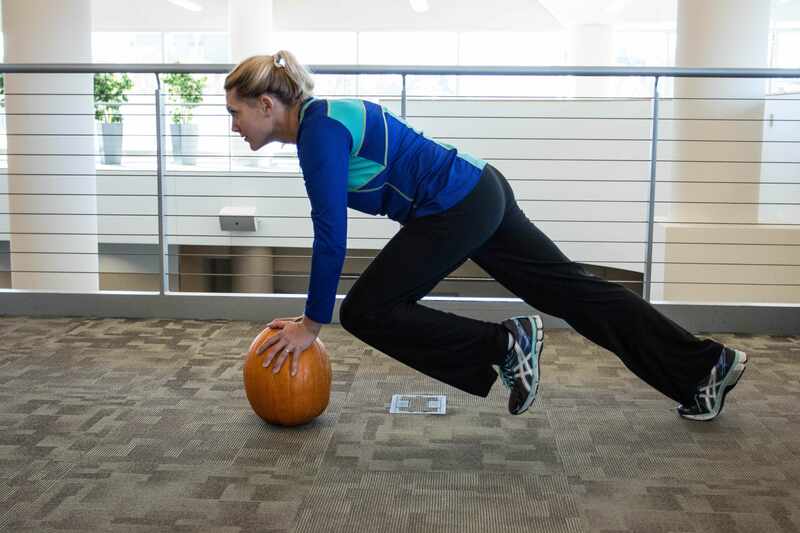 Fall is here, so we are bringing out the pumpkins in this fun fall workout. 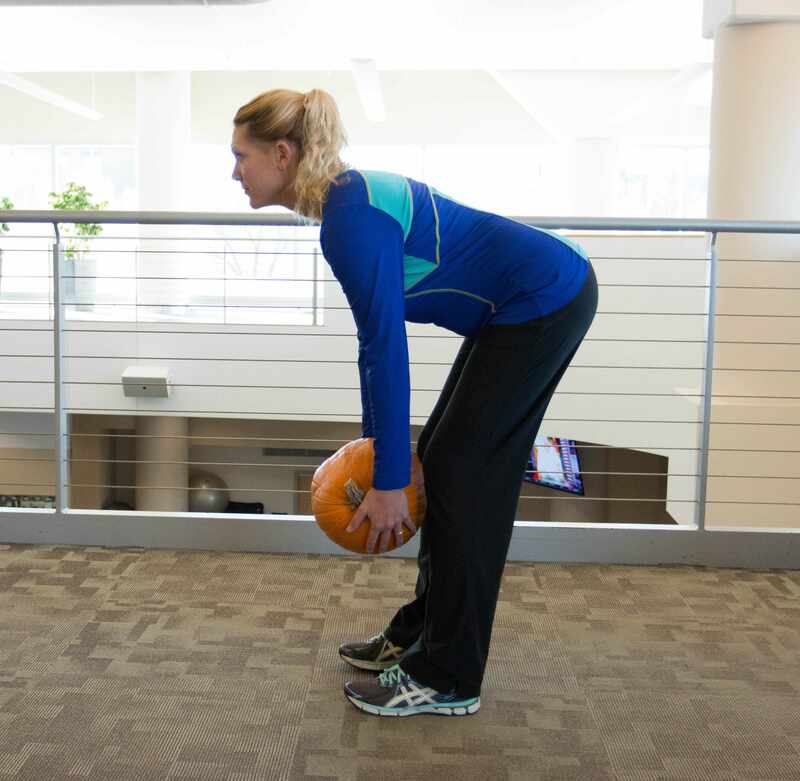 We used a pumpkin in place of a medicine ball, so grab your pumpkin and try out these 5 moves to help get you sculpted this fall. Complete these 5 moves once for a quick workout or perform additional cycles for a longer workout. 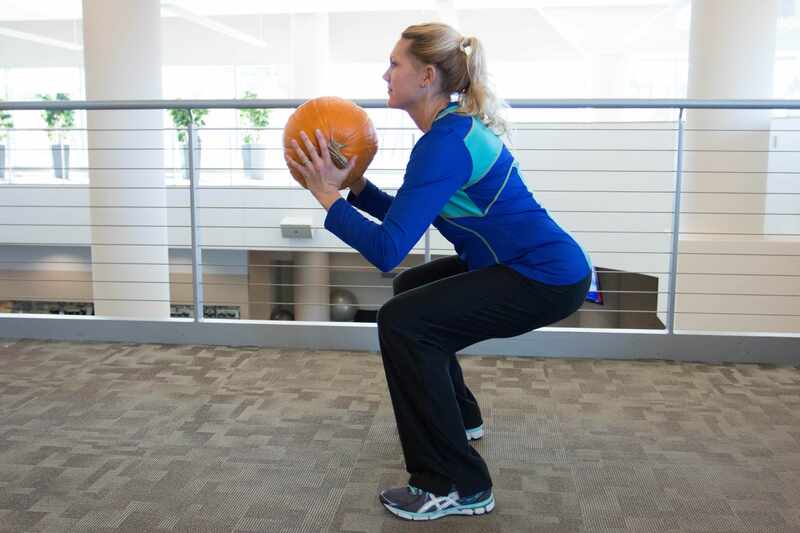 You will need a medium pumpkin (or medicine ball) around 8-12 pounds, or a weight that you are able to use with proper form. Have fun! Holding pumpkin mid-body, squat down and then return to standing as you lift the pumpkin up overhead. 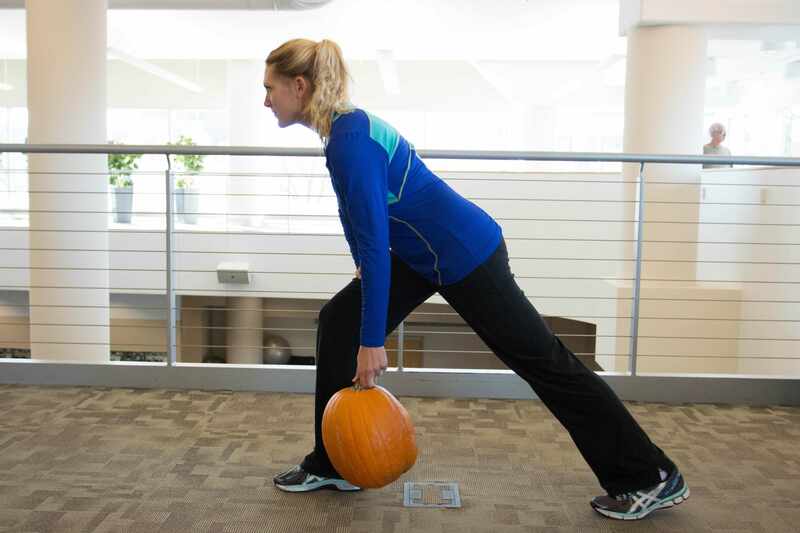 Make sure to lift the pumpkin so that it stays in front rather than behind the head. Perform 10 squats. 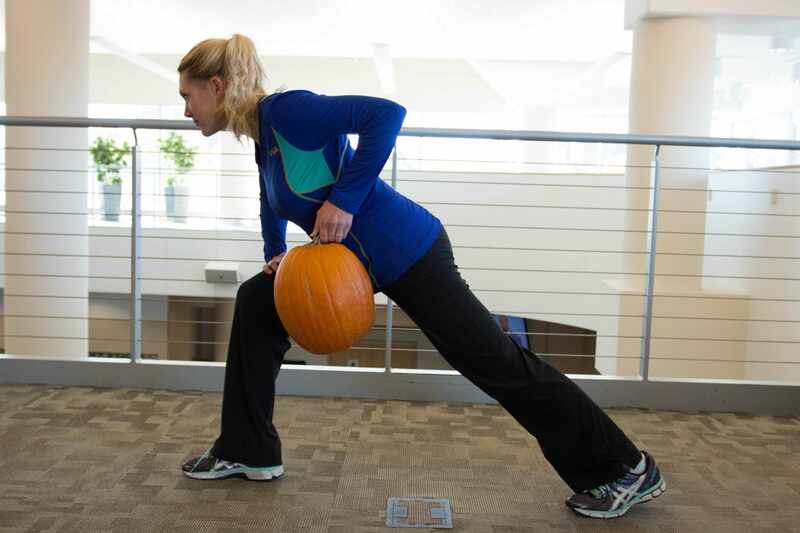 In a staggered stance, lift pumpkin with one arm, bending at the elbow, and keep it close to the body all the way up and back down. Repeat for 10 repetitions and then switch to the other arm. 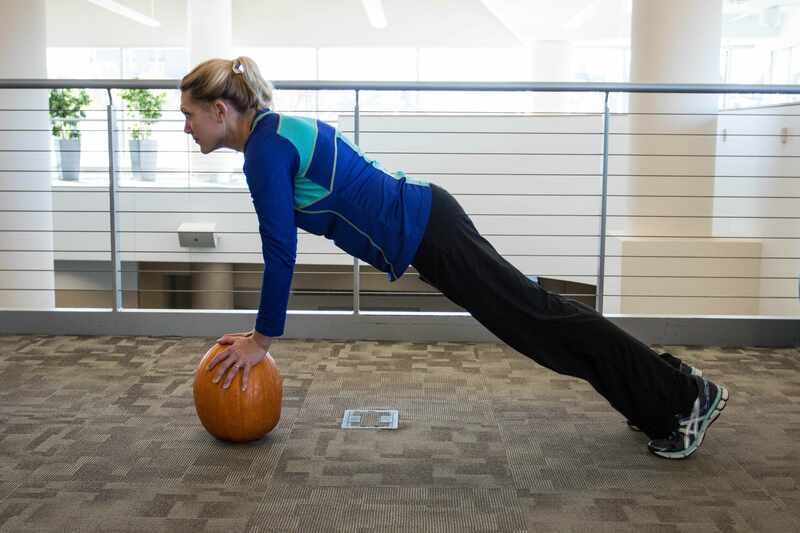 Tilt the pumpkin sideways and keep it close to the body as you lower the pumpkin from a standing position. 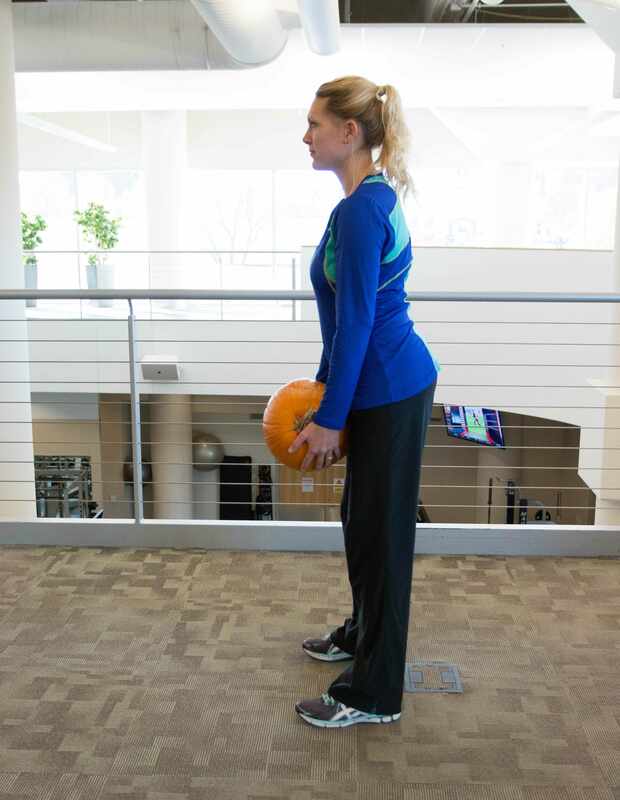 Lower the pumpkin below the knees and then slowly return to standing, maintaining a slight bend in the knees and a flat back throughout the exercise. Repeat 10 times. 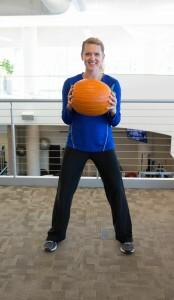 In a wide stance, hold pumpkin to chest and then push straight out in front, keeping the pumpkin in line of the chest. Keep elbows pinned to the body when pumpkin is against chest. Repeat 10 times. 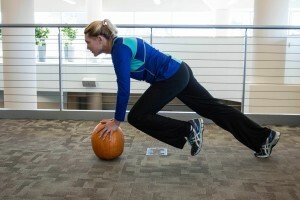 In a plank position, support yourself on a stable pumpkin (otherwise, you can set the pumpkin aside). 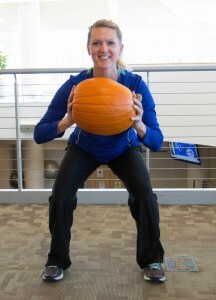 Lift one knee toward the pumpkin and then return and alternate with the other foot. Left foot and then right foot=one repetition. Perform 20 repetitions.